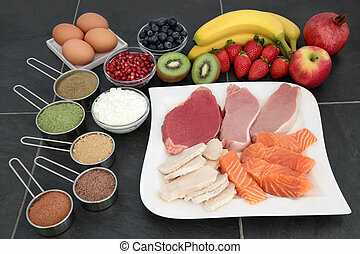 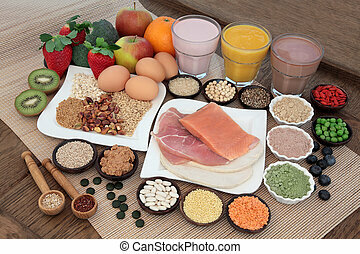 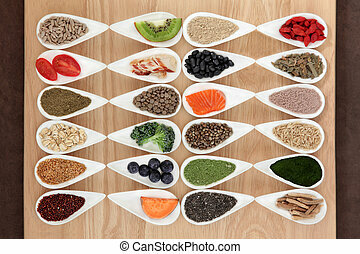 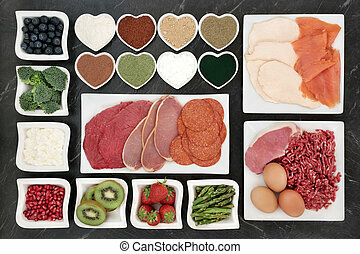 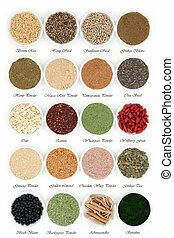 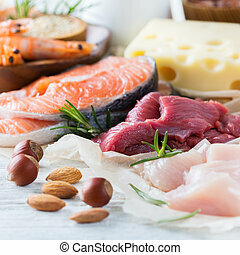 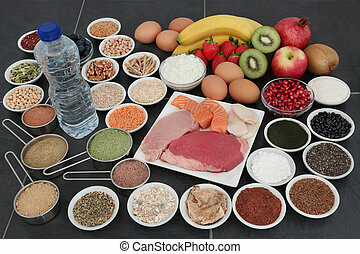 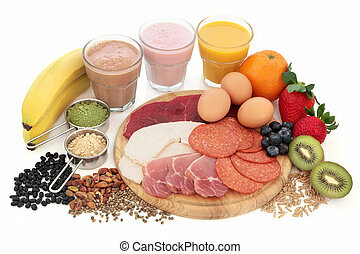 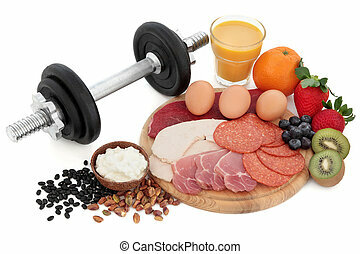 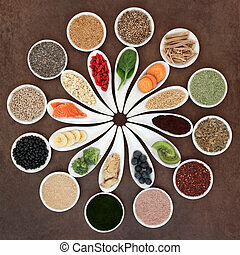 Body building health food collection. 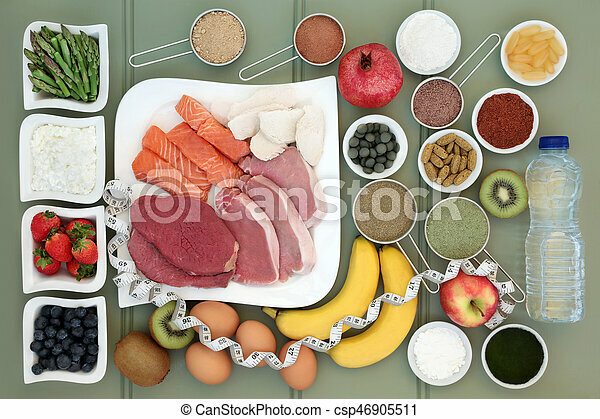 Body building healthy food collection of meat, fish, supplement powders,vitamin pills,fruit, dairy, bottled water and tape measure over slate background. 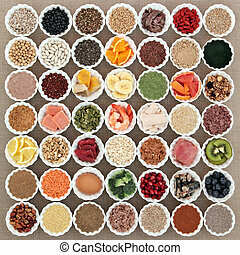 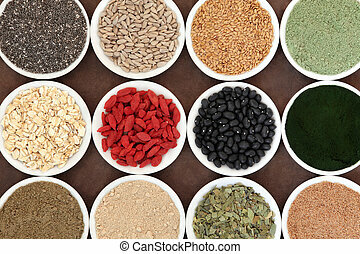 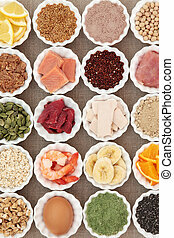 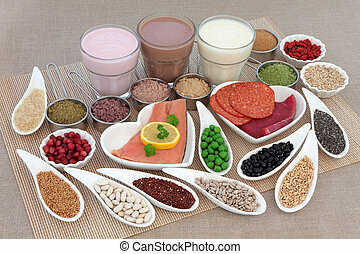 Health and body building high protein food with supplement powders, smoothies, dairy, fruit, grains, seeds, pulses and nuts over white background. 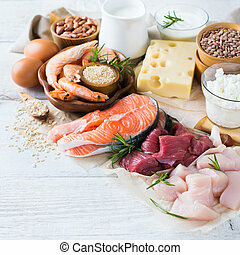 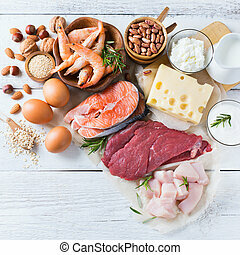 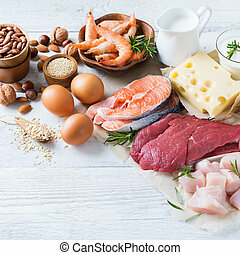 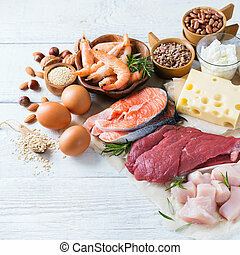 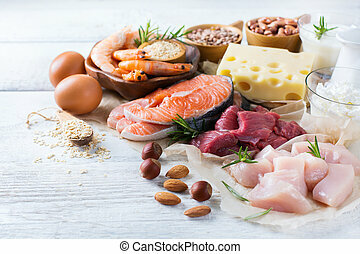 Large health and body building high protein super food of meat, fish, dairy, supplement powders, grain, cereals, seeds, fruit and vegetable selection. 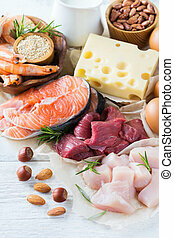 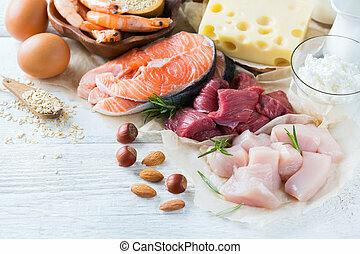 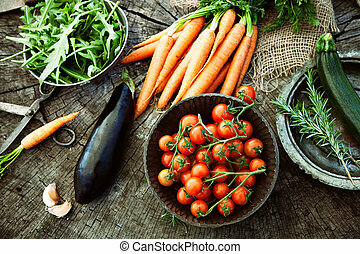 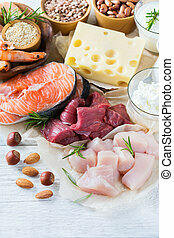 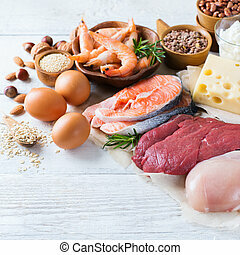 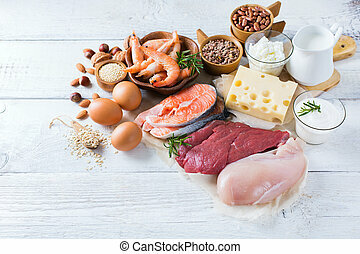 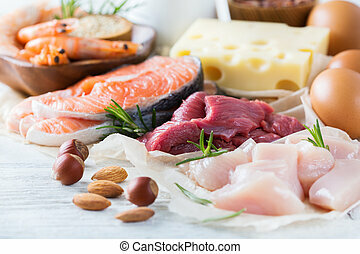 Health and body building high protein super food of meat, fish, dairy, supplement powders, seeds, pulses, nuts, fruit, vegetable and herb selection. 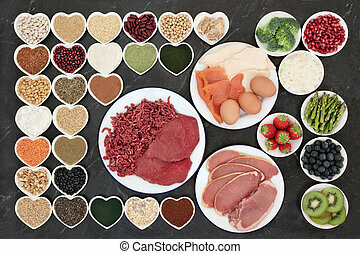 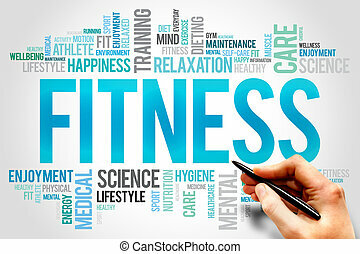 Health and body building food with fish and meat, supplement powders, vitamin tablets, pulses, nuts, vegetables, fruit and high protein and juice smoothie shakes. 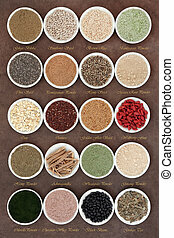 Health and body building high protein food of meat and fish, nuts, pulses, supplement powders, vegetables, fruit and smoothie juice drinks over bamboo and hessian background.